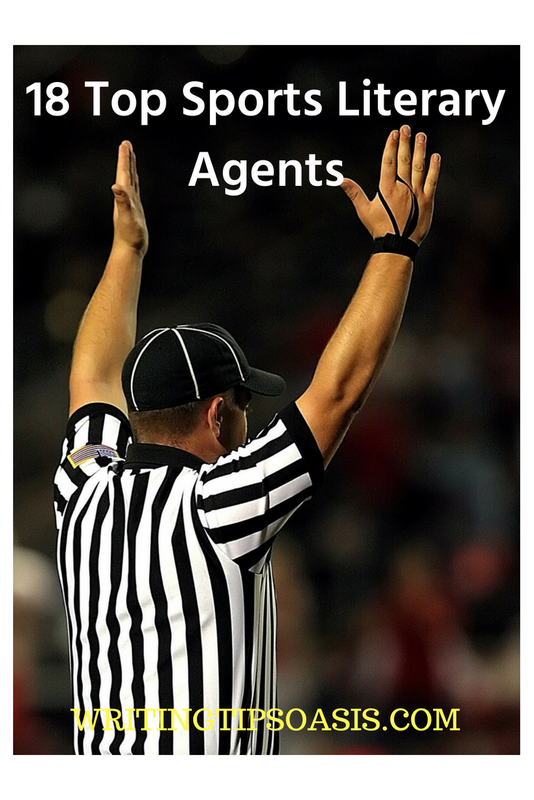 Are you an author who has written a sports book and are looking for agent representation? If so, it makes sense to approach a book agent who specializes in the selling of sports books to publishers. 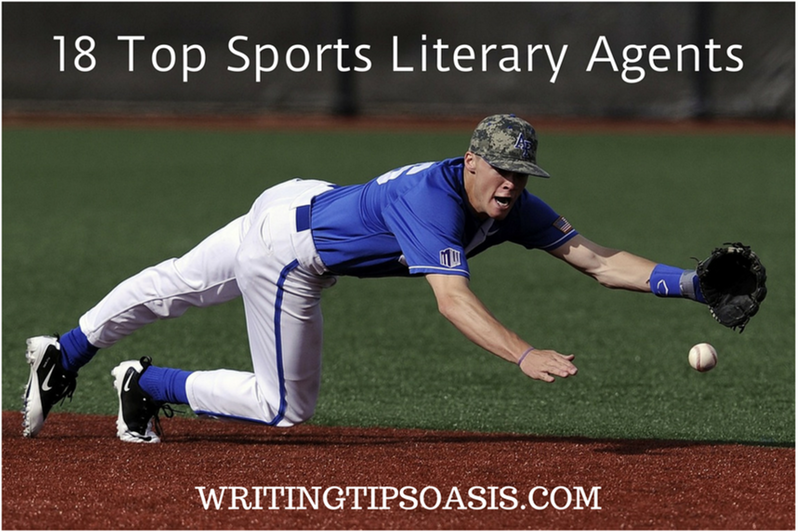 Rather than spending endless amounts of time scouring the web looking for appropriate individuals, take a look at the following 18 top sports literary agents. One of these might just be the person who can help you land a publishing deal. Hailing from London, U.K, Nick Walters is a young and promising literary agent who’ll represent both your fiction and non-fiction titles in sports. After completing his joint honors degree in French and German, Walters decided to pursue a degree in Publishing from the University College of London. His decision eventually paved way for several long-term internships at leading establishments like Faber and Faber, Hachette UK and Laurence King Publishing. Over the time, Nick has taken active interest in sports and within just four years he has managed to represent leading authors like Chris Anderson and Ellis Bacon. As of now, he works at David Luxton Associates, and you can always contact him here for any enquiries about your upcoming sports book. If you’re a newbie sports writer who’s looking to be represented by a professional and truly gifted agent- Rita Rosencrantz is exactly the person you’re looking for. With a well-established career in leading publishing houses, Rita has covered almost all genres including sports, biography, history or parenting. Darrin Gee, Dave Bellomo, Tom Bass and Sylvia Hatchell are only a few among the hundreds of talented authors represented by Rita. While Rita currently works as an independent agent, she has excellent relations with top publishing houses and regional publishers. On top of that, she also happens to be a member of the AAR (Association of Authors’ Representatives) and the Women’s Media Group. Rita is currently accepting submissions, and you can reach out to her here with your book proposal that includes a basic overview, sample chapters and full list of contents. Helen Zimmerman can be your best bet if you’re looking to work with a veteran with an impressive clientele up her sleeve. Her publishing career dates back to almost two decades, when she started working in the marketing team of Penguin Random House. Within the next couple of years, she managed to climb all the rungs of the corporate ladder eventually taking the position of Director for Advertisements and Promotion. Almost one decade later, she decided to move in New York, where she worked independently at a small bookstore. In 2003, she finally came up with her own agency, Zimmerman Literary Agency that went on to be a long-standing success. Helen handles all her clients individually and steers their career by guiding them throughout the entire publication process. She is currently seeking submissions for your non-fiction sports titles. So if you have something that can make the cut, contact her here. Founder of ‘The Doug Grad Literary Agency’, Doug Grad is an exceptionally meritorious writer and agent; who loves collaborating with talented writers. While he initially started his career with a couple of informal projects, his first big stint was when he was selected as the editorial assistant of the Ladies’ Home Journal. Two years later, he landed a job in Pocket books, where he got an opportunity to assist Bill Grose. In 1990, he ranked up as the editor and started working on Golf Books. It was from this point when he started taking an active interest in sports which lead to the collaboration with many top notch athletes and authors like Warrick Dunn and Don Yaegar. Grad is currently accepting submissions and you can always send in a copy of your manuscript here. According to Russell Galen, he is perhaps the only literary agent who grew up wanting to take up a career as a literary agent. Galen was fond of books since his early adolescence and he also proved to be a talented writer. But despite his incredible merit, he wanted to represent better and far more talented writers. Thus began his two-decade long journey as a top literary agent of the United States. Having graduated in 1976 from Brandeis University, Galen almost immediately got an opportunity to serve as an apprentice to Scott Meredith, a truly gifted writer and literary agent. Quite strikingly, Galen managed to make his very first sale in a month and he continued to work with Meredith for fifteen long years, before he finally collaborated with two other equally talented agents to establish the Scovil, Galen, Ghosh literary agency. Throughout his career, Galen has represented both fiction and non-fiction titles. ‘Heroes without a country’ by Donald McRae is one of the best-selling sports title represented by him. Galen is currently accepting submissions. So if you think your work is good enough, send in a copy of your manuscript here. Having established her very own literary agency in 1997, Jeanne Fredericks is yet another veteran on our list. Jeanne first stepped into the publishing industry after completing her M.BA from the NYU Graduate School of business administration. Right after completing her education, Jeanne served as Macmillan’s managing editor. Here, she was primarily responsible for the Trade division. This job brought her recognition and she soon took up the position of an editorial director at the Ziff Davis Books. Like Macmillan, here too she handled the trade division while also managing book clubs and special interest books. She finally started working at the Susan P. Urstadt Inc. and after seven years, she came up with her very own literary agency in 1997. Over the last two decades, Jeanne has represented almost 75 authors, and although she doesn’t specialize in sports, she takes a special interest in it. So if you have some good works to share, contact her here. Right from the early days of his career, Scott Miller has been interested in representing authors who have the mettle and artistry to connect with the masses. While he is inherently passionate about commercial fiction, he has also represented quite a few best-selling non-fiction titles. Scott currently serves as the Executive Vice president of Trident Media Group and has managed to represent award-winning titles like ‘The Second Strike’. His agency is currently open for submissions. So if you have some good sports title to share, get in touch with him here. Alec Shane isn’t merely a talented literary agent, but he’s also an equally qualified writer, public speaker and editor. After completing his Bachelor’s in English from Brown University, he worked for several small to mid-sized production houses as a talent management professional. Shane received his first major break when he got an opportunity to work as a personal assistant of Bill Goldberg, which was immediately followed by his role in Writers House as a literary agent. He has worked in Writers House since then, and during the last one decade he has managed to represent many leading writers for their sports titles. Shawn Krest’s ‘The Baseball Meat Market’ is one of his most recent sales. Shane is currently up for submissions. So if you have some good work to share, contact him here. Going by his first name alone, Stan is a quirky, smart and incredibly talented literary agent. He completed a degree in English from the Bristol University, after which he returned to Edinburgh (his hometown) to work for Canongate Books. During his seven year stint with the agency, he represented many leading authors for award-winning titles like ‘Misadventures’, ‘Salmon Fishing in Yemen’ and so on. Owing to his outstanding work he was shortlisted for the PPC Award several times in his career. Despite his staggering success in fiction projects, Stan has been equally enthusiastic about his non-fiction, sports titles. He represented Bill Jones for his work ‘Alone’ which was eventually short-listed for the William Hill Sports Book Awards. He is currently working for To The North Literary Agency, and you can always send in copy of your manuscript here. With a B.A degree in English and Master’s Degree, in English and Comparative Literature, Andrew Stuart is one of the most experienced agents on our list. Before coming up with his dream project, ‘The Stuart Agency’ in 2002, he worked as an editor and literary agent for the Literary Group International. He had also worked as an editor prior to this job in both, Penguin Random House, as well as Simon and Schuster. In Stuart Agency, he covers diverse genres like history, pop culture, science and sports. Here, he has also collaborated with leading professionals like Mike Freeman, Jim Huber and Bernie Chowdhury. Since he is currently accepting submissions for your non-fiction sports titles, so contact him here. Kate McKean is yet another highly accomplished literary agent, who’ll represent both your fiction and non-fiction pieces in sports. After graduating with a Master’s Degree in fiction writing from the University of Southern Mississippi, McKean entered the publishing industry with a short stint at the University Press Of Florida. Over the next couple of years, she managed to work with quite a few best-selling authors while covering diverse genres like contemporary women’s fiction, historical fiction, magic realism and sports. Although she covers several different genres, sports continues to be her reigning favorite. McKean currently works at the Morhaim Literary Agency, and she’ll shortly re-open for submissions from the 15th of August, 2018. So if you’ve written something that you’re proud of, send in a copy of your manuscript here. Based in Minneapolis, Erik Hane is yet another leading literary agent who’s actively seeking sports titles that offers an incisive insight on a leading athlete or sport. After graduating from Knox College and Denver Publishing Institute, he bagged the role of an editor in Oxford University Press. This was shortly followed by his role as an editor in Overlook Press, after which he decided to work as a literary agent in Red Sofa Literary Agency. Since Erik has worked with several renowned authors, you can always count on him for proper distribution. Erik can be reached out here. Meg Thompson is a U.S based literary agent who is best known for her literary agency, Thompson Literary Society. Having spent her early years in Texas, she eventually moved to New York where she graduated with a degree in British American Literature from the New York University. Soon after, she managed to collaborate with U.S President Bill Clinton, and worked as a researcher for his memoir ‘My Life’. This short project gave her some recognition and she was almost immediately hired by LJK Literary Management. She worked with them for almost six years, before finally deciding to come up with an agency of her own. And that is exactly how Thompson Literary Agency came to be. Here, she collaborated with award-winning authors like Tom Hart, Ayse Birsel and Julia Chaplin. Meg covers quite a few genres which definitely includes sports. So if you think your work is good enough, contact her here. Currently working for one of the biggest literary agencies in New York, Jeff Silberman can be your go-to option for any resonant piece of fiction/non-fiction in sports. Jeff started his career as a film and entertainment agent, but he soon switched roads and started working as a literary agent for a couple of mid-sized publishing houses. Within the next few years, he managed to bag an offer at the Folio Literary Management where he’s working ever since. While Jeff has covered almost every leading genre, sports, continues to be one of his personal favorites. Since he has worked with award winning authors like Christina Ross, Bill Duke and David Edwards- you can also count on him for top notch quality. Silberman is now actively seeking sports fiction and non-fiction. So if you have a good piece to share contact him here. Having managed multiple roles as an author an attorney, Suzy is the perfect agent for anyone who’s written a sports title that has a smart crossover appeal in other similar genres. She completed her PH.D in History, from Berkeley and decided work as an editor and literary agent thereafter. After several small and mid-sized stints, she landed a job in Sandra Dijsktra Literary Agency where she extensively worked with award-winning authors on ‘serious’ non-fiction titles. So if you think your sports title can grab her attention, drop her, a mail here. If you’re looking to be represented by someone who has worked with outstanding talents across the globe- Luke Janklow can be your answer. Luke wanted to pursue a career in publishing right after graduating from Wesleyan University and that’s why she immediately accepted the position of a literary agent in a mid-sized publishing house. Her experience paved way for better projects and by the end of four years; she wanted to work on independent projects. Her dream of working independently finally took shape when she met Lynn Nesbit, an equally talented agent, and co-founded the Janklow and Nesbit Literary Agency. Throughout her career, she has represented acclaimed authors like Robert Baer, David Goodman, Austin Grossman and even Brian Haig. Her agency is currently open for submissions, so if you’ve written a non-fiction piece in sports, send in your work here. While Jody Kahn is best known for representing literary and commercial fiction, off-late, she is also representing non-fiction sports titles. Jody takes an active interest in sports since she is also an athlete who enjoys every bit of running and swimming. She started her career in the publishing industry with Gail and Brandt Hochman, and interestingly, she continues to work in their agency till date. Jody is fond of strong, narrative voices; that takes her to a new and truly riveting world. So if you think your book resonates with her tastes, get in touch with her here. A published author and guide, Jeff Ourvan initially started his career by representing romance, young adult fiction, thrillers and mysteries. Eventually, he decided to move to non-fiction and since the last couple of years, his most notable collaborations are in the fields of biography, science, sports and history. He currently works for Jennifer Lyons Literary Agency, and has already represented authors like Ronald Fergusson, Christopher Knowlton and Craig Roach. His agency is currently open for submissions and you can directly contact him here. Do you know of any other sports book agents we should know about? Please tell us about them in the comments box below!